Looking for a change? When it comes to motor trade recruitment we are second to none. Join the Chorley Group family and apply for one of our fantastic opportunities at your local dealership. With over 25 years experience in the motor trade, Chorley Group is the ideal place to start your new career in the automotive industry. We employ over 250 members of our teams spread out across the North West in Chorley, Burnley, Blackpool, Preston and Wigan. Our vacancies cover all jobs in the automobile industry, from new and used car sales executives, customer service advisers, technicians, administrators and much more. As franchise dealers of Nissan, Fiat, Hyundai, Kia and MG we provide all our recruits with the official manufacturer approved training schemes and offer excellent company benefits all our new and veteran team members. The automotive industry is rapidly evolving, and new motor trade jobs are created all the time. In addition to our on site sales team we invest in newly growing departments including media centric roles and online customer service. We like to train in house. If you're looking for a new career or just finished school and wanting to get on an apprenticeship or trainee program we often have vacancies available for entry positions into the motor industry. We're open to candidates from a wide range of backgrounds, our only requirements are an excellent and enthusiast attitude and a thorough understanding of Chorley Group's family values. See current vacancies online. 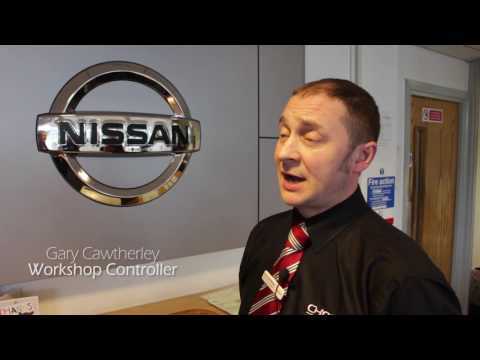 Why work with Chorley Group? What makes Chorley Group a good employer? We are continuously training and investing in our people as technicians, sales executives, service & parts advisers, digital marketing and accountants. Our people are our business. We offer full training and skills development across the Group, we utilise the training academies provided by the manufacturers and supplement this with both in-house and external training. We have written training packages to support and grow our staff, and are knowledge-sharing through our most experienced and senior colleagues to augment the traditional training methods. Chorley Group operates on a defined set of company values - reflecting our strong family culture with our staff and our loyal customers.